While the US usually enjoys a lower rate of disease than the rest of the world, there are starting to be holes in the dike, so to speak. 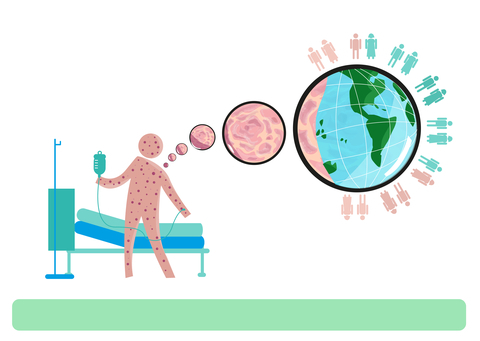 With travel being easy and affordable, exposure to what were once rare diseases is a lot easier. Then, multiply that exposure by communities where people are missing vaccinations, and you have an outbreak, or multiple outbreaks. Now more than ever it’s important to have daily immune support from colloidal silver. Measles is surging in the other parts of the world right now, where vaccination was never as complete as it was in the US. Travelers are now bringing measles home, and it’s spreading in communities. While measles vaccination is 97% effective… there are some caveats. Young children who haven’t had all the recommended doses are still at risk for measles (and this exact scenario is the source of one outbreak). Also at risk are people with weakened immune systems. What can people with weakened or low function immune systems do? Support themselves in other ways. Make sure that you’re taking care of yourself with health basics, like getting enough sleep at night, eating well, getting a little exercise, and taking time to destress. For additional support, add colloidal silver to your daily routine. Colloidal silver has been used for centuries as immune support, and is still used today both in the traditional way (as supplemental immune support), as a coating in hospitals and schools to prevent the spread of disease, and research is affirming it for more official uses in medicine. Whether you’re traveling, or just an active part of your community make sure that you have immune support from colloidal silver.